Vivo Ultimate Brow and Eye Kit contains three different shades of matte brown shadows, a small brow gel and a double ended eyeshadow/slanted applicator. I threw away the brush as I never use them, but it does come with a angled slanted brush which is perfect for filling in eyebrows. On me this kit is a touch to light, I have super dark eye brows and I really like them to be really defined and dark brown. The dark brown is just a tad to pale and ashy, and the middle shade is too warm. I feel it would probably suit light brown-blonde brows more than mine which are leading on the black-brown side. Dont get me wrong I do think its a decent little kit. 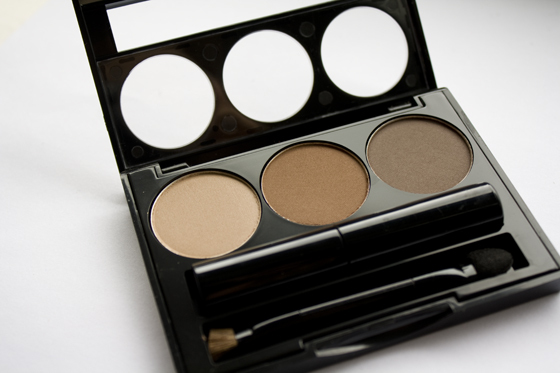 Its just not the right shade for me, The shadows are smooth and easy to use, they come off quite pigmented as well. 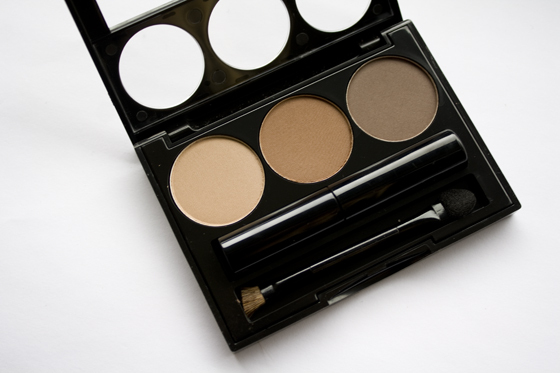 Great if you wanted some basic shadows for neutral eyes, Its so hard to find decent matte eye shadows in drugstores. The gem of the kit to me is the little brow gel. 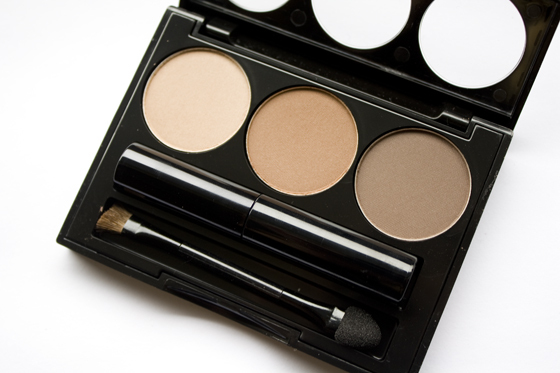 This is really handy and is perfect size to put in your makeup bag to tidy up straggly brows! I think if you are fairer brow-ed this would be a great kit for you, But its not for me. The shade range is good just doesn't really cater for darker haired ladies like myself. Would be good if they brought out another shade range maybe mid brown to black. Other brow kits more suitable for darker hair that I've personally tried is the HD brows palette in Vamp & the E.L.F studio brow kit. This looks great for a fiver! I'm still trying to work out how to use my HD Brows palette.. I think I'll stick to Brow Zings! This looks great, but I don't think it is an alternative to my HD brows kit yet! I prefer to use the leftover gel on my mac jetblack liner brush - with dark brown brows just a little bit looks good and the gel ties it together. The tones are nice, I think I would use them on my eyelids though. I like the fact that it has a cute little brow gel in it! 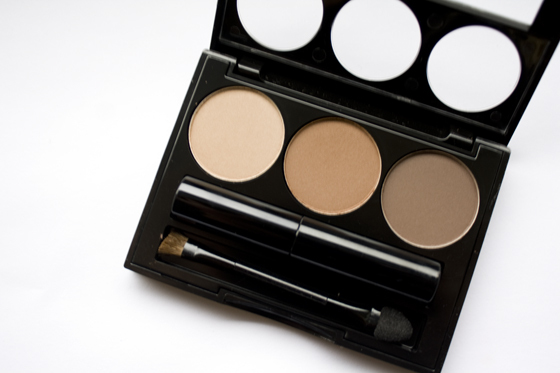 I think this would be such a good palette for my blonde eyebrows, £5 is such a good price, thankyou for this review!